Handle the anticipated contamination inside the gas flow very well. 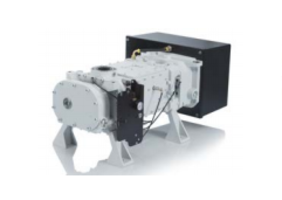 Oil-free pumps are air-cooled therefor reduces operating costs by simplifying the installation and commissioning. Provides safety and efficiency in food and packaging processes. 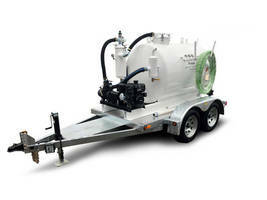 Available in Super Duty® TVP Series Vacuum Pumps, Dual Compartment Vacuum Pumps and WVP Series Vacuum pumps model. Provides high suction power solution for public works agencies and businesses of all sizes to responsibly pump and contain waste. Used in septic pumping, waste trap grease, wastewater, municipal sewage and industrial wastewater applications. Equipped with an automatic shaft seal purge control for optimal protection of shaft seals and bearings. Provides benchmark energy efficiency, durability and future-ready network-integration. Minimizes the power consumption, saving costs and reduces carbon footprints. Suitable for semiconductor, display, LED and solar PV manufacturing processes. Reduces the environmental impact of harsh processes in semiconductor manufacturing. 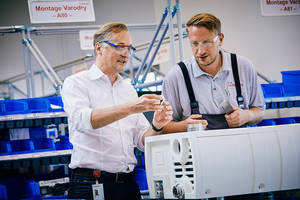 Designed to overcome the process challenges in high-k, low-k, SACVD, LPCVD, ALD, TCO, GaN and EPI. If you can't stand the heat, don&apos;t get out of the kitchen! 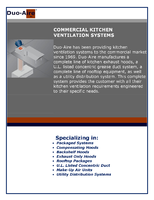 Download this white paper and see how you can improve your commercial kitchen ventilation system. Robust construction allows it to install closer to the usage point with no extra protective measures. 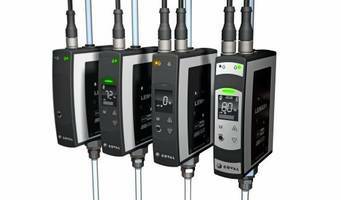 Equipped with a new gyro-based display function that simplifies readings, reducing the amount of errors and increasing productivity. 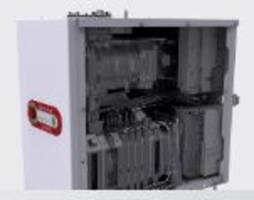 With casings and electrical enclosures, it provides complete protection against dust and good ability to withstand water. Designed for use in vacuum drying and cleaning, paper converting and food packaging industries. 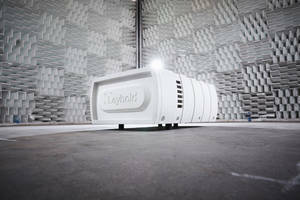 Housed in noise reducing canopy for a vibration-free operation and equipped with MK5 Elektonikon® controller. Feature SMARTLINK that provides remote monitoring capabilities. The U 5 Series and Roots Booster Package Series Vacuum Pumps are designed for use in primary packaging industries. The units feature a pump down time between 5% and 7% more than other pumps. The pumps draw down to a deeper end vacuum that increases the speed of packaging lines and are offered as a plug and play option. 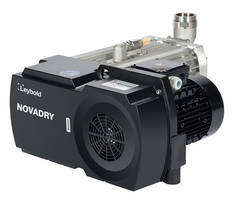 Leybold’s Oil-Free VARODRY Vacuum Pump is available in two pumping speeds such as VD 65 and VD 100 and is designed for moist and dusty processes. Unit offers uninterrupted operation without system downtimes and is suitable for industrial vacuum applications. This air-cooled pump requires less maintenance and minimizes operating noise in daily operation. Come Alive Organics distributes all-natural, proprietary flavored agave for the food and beverage industry while helping children across the globe. 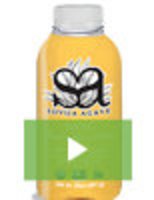 Learn more about our agave products and our one sweet cause in this video and two-page PDF. 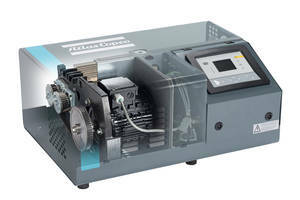 2320Z Series Compressor/Vacuum Pump offers an open flow up to 3.95 cfm. Adjustable Air Amplifier can pick and place porous parts. 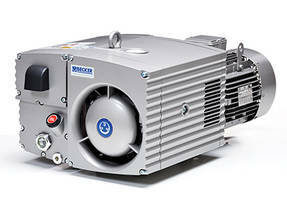 2680CWW40 WOB-L® Vacuum Pump meets RoHS and REACH standards. Pump is powered by 4-pole AC motor.